75W Joyetech eVic AIO VT Kit with separate atomizer adapter, and you can use it with Multiple Atomizer Heads. Features with Detachable structure, Top Filling and Top airflow control structure. 2 colors are available. With all-in-one design powered by maxim 75W, Joyetech eVic AIO VT Kit with separate atomizer adapter, and you can use it with Multiple Atomizer Heads. 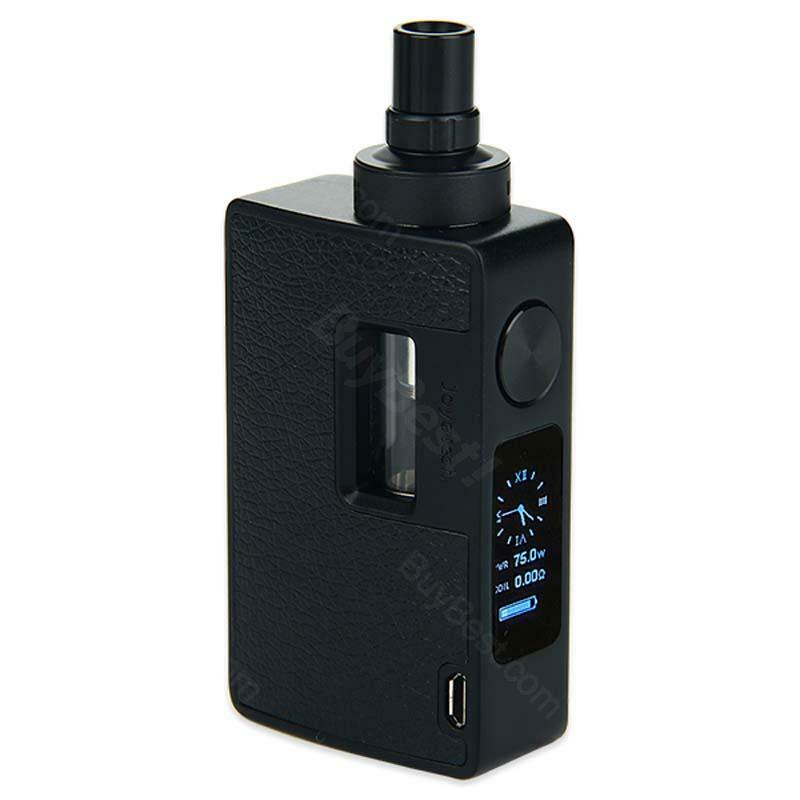 Due to its Detachable structure design, this eVic AIO VT Kit accepts to replace the battery, atomizer or glass tube. With Top Filling and Top airflow control structure, it brings large air and controls airflow perfectly. You can check the real time and output change with a large 0.96-inch OLED screen.which will be a better choice compare with those mini screen. This device will come with two kinds stickers and multiple coils, which will makes it more attractive and practical. What’s more, features with Variable temperature control, and Dual Circuit Protection & Reverse Polarity Protection, it will brings you more safe and nice vaping experience. Upgradable firmware design will help you update it to the newest version, to meet your request. Black and SS for your options. • eVic AIO Kit doesn't come with e-liquids. You shall purchase e-liquids separately. • There is CE mark on battery end. • Compatible with NotchCoil, BF coil, BF RBA. • You can buy replacement Atomizer body and Body Sticker. I recommend you buy this item because it looks pretty and functions well. Very fast shiping. Item is very good. I recomend this. Ordered this 75w evic aio vt kit for my nephew, seems he's enjoying it. Max 75w with temp control. Easy top fill tank holds 3.5ml juice. Works very well. No regret. Love the compact size and the screen. eVic kit performs as it should, very easy to use and awesome flavor and vapor production.